The third element is a resentment toward elites—cultural, judicial, professional and academic. This is most plainly expressed in accusations that Israel’s Supreme Court has overstepped its authority. Another example is Mr. Netanyahu’s claims, which his supporters largely find credible, that his own legal travails reflect an effort by those elites to destroy him. Who are the Israelis who identify with these views, and where are they from? In liberal, Western-looking Tel Aviv, Benny Gantz’s Blue and White list took 54% of the vote to Likud’s 9%. All told, the center-left won 79% of the vote in Tel Aviv. In more conservative and nationalist Jerusalem, by contrast, Likud scored 25% of the vote, Blue and White only 10%. The ultra-Orthodox United Torah Judaism list came second with 23%. In the town of Sderot, bordering the Gaza Strip, Likud won 43.5% to 9% for Blue and White. This part of Israel traces its recent familial origins largely to other parts of the Middle East—Morocco and Kurdistan, Iraq and Tunisia—and also to the former Soviet Union. This Israel speaks less English and finds itself of far less interest to the global media than the West Bank settlers, Tel Aviv liberals and elite-class Palestinian Arabs whom the West treats as the main players in events between the Jordan River and the Mediterranean. That focus should change. In spite of their self-perception as outsiders, this public increasingly sets the tone for the Israeli mainstream—in elections, cultural atmosphere and demographic realities. According to the 2018 Israeli Democracy Index, 64% of Israeli Jews age 18 to 34 identify as right-wing, compared with 47% of those 35 and older. In many ways, Likud was a prototype for the populist insurgencies whose successes are now a notable feature of political life across the democratic world. Video made by Sarah Ansbacher, with help from Chen Yefet and Mony Arovo. Recipe by Sara Arovo. Duka is the Adeni name for this delicious traditional Haroset recipe from Aden for the Pesah seder. Here is the recipe and a short video so you can make it too. has the consistency of porridge. Mix every so often to prevent it burning and add more water as needed. 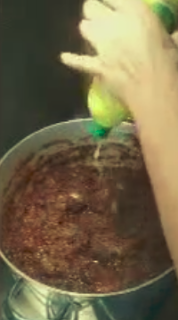 Then add wine, a dash of lemon juice, ginger, cinnamon (sugar, if you want) and crushed walnuts. Taste and add more of any ingredient as needed to taste. Cook for a further 10 minutes or so to infuse all the flavours. Cover and cool. Then refrigerate in a sealed container. WASHINGTON – The United States may now be able to prevent the destruction of Jewish heritage sites in the Middle East and North Africa. 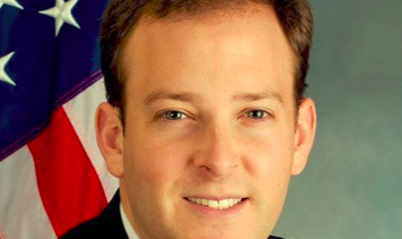 Last week, Rep. Lee Zeldin (R, NY-1) introduced the Protecting US Heritage Abroad Act. The bipartisan legislation, cosponsored by Rep. Michael McCaul (R, TX-10) and Rep. Debbie Wasserman-Schultz (D, FL-23) would extend the current mandate of the US Commission for the Preservation of America’s Heritage Abroad to include the Middle East and North Africa, and would provide access to protected cemeteries, monuments and buildings. Implementation of the act would have to be negotiated individually with each nation. The commission was established in recognition that the population of the United States is composed mainly of immigrants and their descendants, and therefore the US has an interest in the preservation of sites in other countries that are an important part of the cultural heritage of many Americans. The types of properties that the commission seeks to preserve include cemeteries as well as archaeological and archival material. The catalyst behind the commission was the Holocaust, and therefore it was aimed at preservation in Europe. After six million Jews were annihilated, few were left to continue to care for the communal properties that represented historical culture in the area or that constituted an integral part of the Jewish religion. The commission has operated in more than 25 countries to date. It is based in Washington and staffed by presidential appointment. Today, many properties continue to be endangered, Zeldin told the Post. Governments and communities in the region face fundamental and competing challenges. Some Jewish sites have been affected by a resurgence of antisemitism. The explanation is both fascinating and tragic: The piano belonged to Habiba Msika, a Jewish actress and singer who in the 20th century was considered one of the greatest Tunisian artists, adored by Muslims and Jews alike. Msika was born in 1903 to a poor family in Tunis’ Jewish quarter. An orphan at an early age, she went to live with her aunt. She developed her singing talent at Jewish weddings and later as an actress in the new Arab theater. 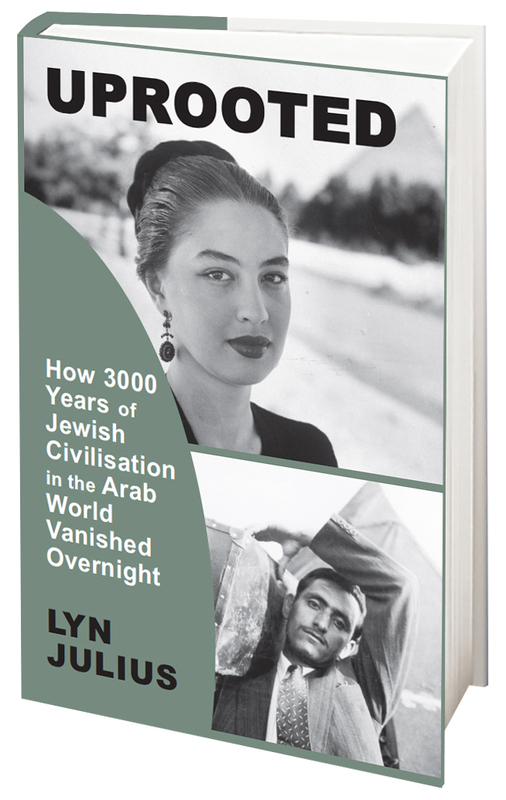 “There were singers with better voices who were more beautiful, but the secret of her success lay in her exceptional personality and her ability to create a warm connection with the audience,” wrote Prof. Yaron Tsur, an expert on the history of the Jews in the Islamic world. That exceptional personality included multiple romances, unusual at the time, with Jews, Muslims and Christians. Msika was also unusual in her feminism. She demanded, and received, a higher salary than male actors and singers, as well as leading roles, including a “masculine” role (the biblical Joseph), which unleashed a scandal. Her career soared and she also performed in Berlin, Nice, Paris and Monte Carlo – but everything ended tragically at its peak. In 1930, shortly before she married a young non-Jewish Frenchman, she was murdered by an older Jewish man who was in love with her. When she didn’t respond to his advances (and according to a different version, when she ended the affair with him), he set her on fire in her home and committed suicide. She lived only one more day, even though she was rescued from the fire by her neighbor, Rachel Tubiana. The Msika family invited Tubiana to choose a souvenir from the items the star had left behind. She chose the piano. In 1952, when her family immigrated to Israel, the piano came too. The curator of the exhibition, Dana Avrish, was born in 1979 and is a third-generation descendant of Iranian, Lebanese and Syrian Jews. She knew this piano from her visits to her friends Yoel and Rinat Shetrog, who live in the community of Lapid, about halfway between Tel Aviv and Jerusalem, along the Green Line. Yoel, a professional photographer, is Tubiana’s grandson. Avrish and the Shetrogs would listen to the songs of Corinne Allal, the Israeli singer who was born in 1955 and immigrated to Israel from Tunisia at age 8. 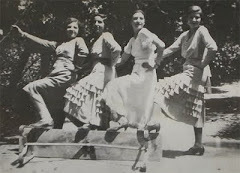 The Shetrog girls would play that old piano in their living room. Recently, when Avrish did the research for the new exhibition, the family agreed to lend it as one of the exhibits. Shetrog provided the exhibition with another item that sheds light on Tunisia’s Jewish community: medals won by his grandfather Yehoshua Shetrog for his famous fig arak. Shetrog was an important mohel (a ritual circumciser), an important shohet (a ritual slaughterer) and a rabbi. His students included Yehuda Meir Getz, the Western Wall rabbi who died in 1995. Yehoshua Shetrog was also a winemaker and the owner of a café where his arak was served. The medals show that he won competitions in Milan, Barcelona, Paris and London. In 1956 he immigrated to Israel with his family. The piano and the medals are evidence of the flourishing, ancient Jewish community in Tunisia, a country that won independence in 1956. The exhibition also tells the other side of the story about the Jews who for thousands of years lived in Arab lands and Iran – the persecution, pogroms and anti-Semitism that reached a peak when Israel was established in 1948, leading to the exodus of about a million such Jews, the Mizrahim. 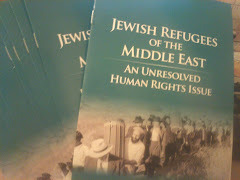 “Along with their strong roots and an attachment to the cultures of the Islamic countries in which they lived, the Jews throughout the generations, especially in modern times, also experienced hardships that uprooted them from their homes and turned many of them into refugees,” Avrish says. She says that their aliyah to Israel was a painful departure that reverberates to this day. While most matzah today is baked at a factory into uniform squares of brittle, crunchy crackers, hundreds of years ago, matzah was a thicker, softer, hand-made variety that few today would recognize. Some Sephardic Jews, however, still make matzah in this style, and when we found out, I wondered if this unleavened flatbread might be a clue to what matzah looked like before mass produced, factory-made matzah. 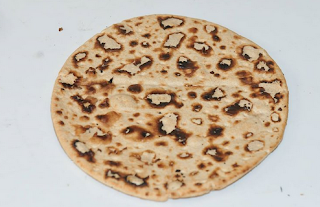 The Sephardic Passover blog, Too Good To Passover, writes “In Ethiopia, matzah is made just like it it had been done for the first Passover when the Jews were fleeing Egypt through the desert: By hand. And FAST.” The bread is still made in under 18 minutes, and it’s fried on a flat clay pan. 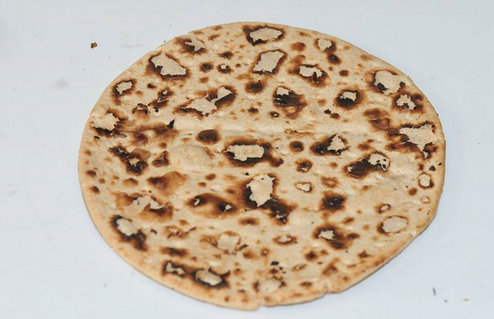 The result is a flatbread that’s about the size of a pita, with a nutty, earthy taste. Since this type of matzah has a short shelf life, it’s eaten immediately or within a day or two. This style of baking matzah is often referred to as “authentic,” resembling the way that matzah was made thousands of years ago. Chabad.org echoes these sentiments, writing, “by the 17th century matzah had thinned out to about the thickness of a finger, it was still soft, and so would not stay fresh for more than a few days.” It explains that matzah became thinner and more cracker-like due to concerns that the bread wasn’t entirely cooked within, and therefore not kosher for passover. Another interesting trend arose during the 18th century — there was a greater demand for more shelf-stable matzah that wouldn’t start to mold. By adding less water to the mixture and by kneading longer and with more effort, matzah bakers were able to achieve extremely thin, crunchy matzah that took days or even weeks to spoil. By the end of the 18th century, hard matzah was the new norm. Today, of course, the process of making matzah is so modernized and efficient that matzah can be made months in advance of Passover and still considered “fresh.” But there’s still Sephardic and Yemenite families who make soft matzah by hand according to their own traditions handed down for generations, during the week of Passover. 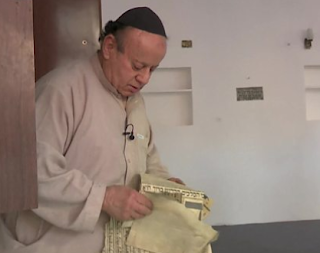 Afghanistan's last Jew, Zevulun Simantov, has long been a curiosity for the western media. The BBC has just visited him again and has filed this video report. In previous reports, Simantov has almost laughed off the Taliban's efforts to convert him. But this time, things seem to be getting serious. Someone has pulled Jewish 'placecards' off the walls and torn them up. Afghans are still trying to convert Simantov to Islam. But he won't do it, even if they paid him. The report gives the impression that the 5,000-member community left as a consequence of the creation of Israel in 1948. In fact their situation had deteriorated beforehand. Jews are also said to have left after the 1979 Soviet invasion but there could have been no more than a handful still in the country at that time. Strident anti-Zionist voices on the left of the US Democratic party are trying to distance Ashkenazi Jews from their ancestral homeland in Israel by calling them 'white Jews'. 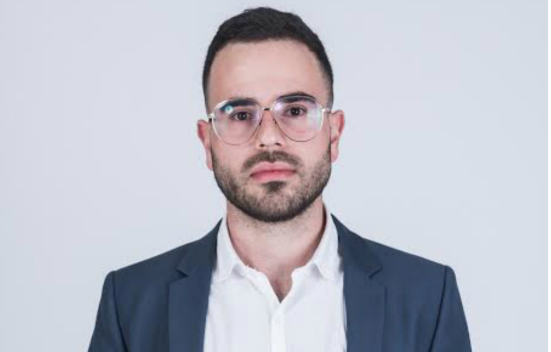 Joshua Robbin Marks writes in The Times of Israel that Ashkenazi Jews who are conditioned also to describe themselves as 'white' need to de-colonise their minds: all Jews are Middle Eastern. The 2011 Constitution acknowledges that Morocco’s identity has been “nourished and enriched” in part by “Hebraic” components. Around that same time, King Mohammed VI embarked on a wide-ranging rehabilitation project that reflects his “ the cultural and spiritual heritage of the Moroccan Jewish community. They are forcing an Arab nationalist and imperialist narrative on us. As the son of Zionist Iraqi Jewish mother and a North-African Amazigh (Berber) father, I am appalled by their distortion of history. The term “Arab Jew” subverts Zionism because it is Arab nationalist/imperialist orthodoxy. Arab nationalists/ imperialism reject Jewish national identity and political power, while they generally accept Jewish religion. The term “Arab Jew” encapsulates this rejection. As they reject Zionism and Israel they say Zionism is racist against Mizrahim. Their perspective runs against the view of the vast majority of Mizrahim in Israel who, despite the difficulties we and our parents faced in the “Maabarot” (the Jewish refugee camps Mizrahim were sent to by the Ashkenazi [European] Jews when they first arrived to Israel) are Israeli patriots and Zionists. This is an incredibly patronizing view that has no connection whatsoever to reality. They’ve created narrative that is reflective of only their wild imaginations and Arab nationalist fantasies. Many Mizrahi Jews were Zionist long before the establishment of Israel. And while some Mizrahi Jews had friendly relationships with their Arabx neighbors, like the Christians in the Middle East they were without sovereignty and equality and were therefore often victimized throughout their history in the Muslim Diaspora. 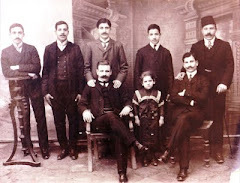 These activist also belittle the Mizrahi experience, the lives of 850,000 Jewish refugees who even in the successor states to the Ottoman Empire of the early twentieth century were de facto treated as “dhimmis,” an Arabic term for a protected minority that pays for said protection, until the oppressor decides to end this agreement. 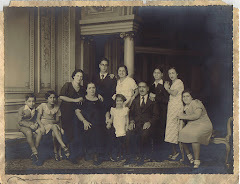 The story of my family, and the Jewish Iraqi community, is a great example of the aforementioned. In Iraq, despite being “equal citizens,” they experienced ongoing oppression, which culminated in the brutal attack of the “Farhud,” and other anti-Jewish attacks. The Farhud was a Nazi-incited riot in 1941 that claimed the lives of hundreds of Jews and forced the country’s entire Jewish population to live in absolute fear. 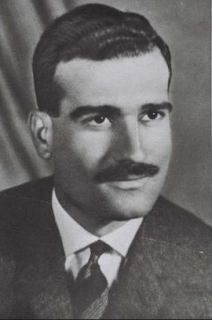 With the radicalization of Arab nationalists who could not tolerate any political power other than their own in North Africa and the Middle East, Jews across the region were expelled. 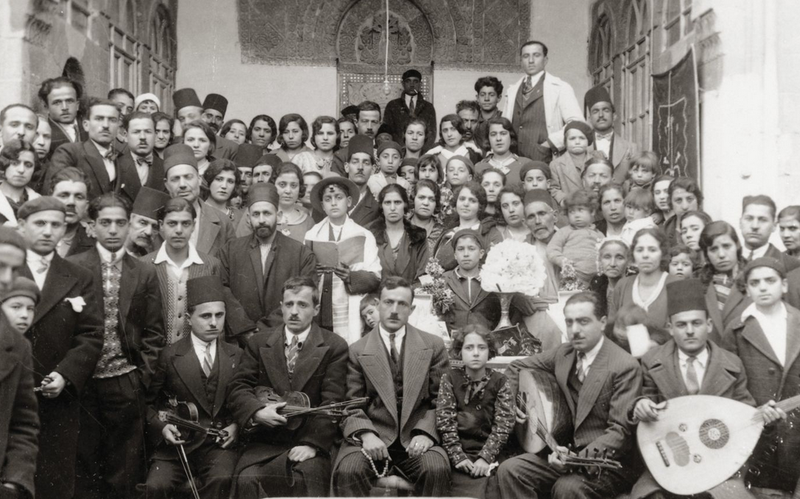 These refugees, many of whom joined relatives who had already left decades earlier, building cities and neighborhoods like the Kurdish Jewish community in Jerusalem and the Yemenite Jewish community in Tel Aviv. They sacrificed whatever they had left, and happily returned to their indigenous homeland, Israel, which they contributed mightily to building up and defending. The term Arab Jews glorifies a small minority of assimilated Jews who regretted leaving the Arab world as if they represented the majority. They do not. Many Mizrahi Jews seem to be able to do what this minority cannot, which is to appreciate Arab (and Persian, and Kurdish, and Berber and Yemenite) culture without rejecting Israeli culture and sovereignty. These anti-Zionist in fact reverse the empire-nation narrative. Israel is national entity while the Arab world is an imperial one. You can always tell an empire by language. Arabic is an imperial language like English and French, promoted through settler-colonialism and imperial hegemony throughout the Middle Ages. Since the twentieth-century rise of pan-Arabism, leaders advocated Arabization policies of indigenous national groups, whether the Kurds, the Berber or the Sudanese, and sought to permanently reduce the status and power of indigenous religious groups, such as the Copts and Maronites, across the region. These “progressives” and their ideas neglect the truly oppressed minorities, while promoting Arab imperialistic ideas. They completely ignore the Copts, Kurds, Berbers and Maronites who are now increasingly reclaiming their autonomy and sovereignty. We are so used to the “Arab world” that we forget it is a product, in modern terms, of Nasser and his encouragement “Arabization” programs whether in Algeria or Iraq, as well as of the Saudis and other Gulf leaders who have also encouraged “Arab” unity. They never speak about Arab imperialism, about Saddam and the Kurds, about the war in Algeria, or the Berbers. Granted the latter causes are hardly as popular as the Palestinian/Arab one, which has the backing of Gulf oil money and the support of European intellectuals who march en masse for Palestine and have not uttered a peep about the Kurds in the most recent war. The greater issue is that there is a misguided school of thought dominating the conversation about Israel and the Middle East which is distorting the whole imperial and colonial history of the region. There have been several nations that have acted as empires in the region, conquering, settling and dominating peoples outside their own homeland. These have been the Arabs, Turks and Iranians, and more recently the British, French and Italians. 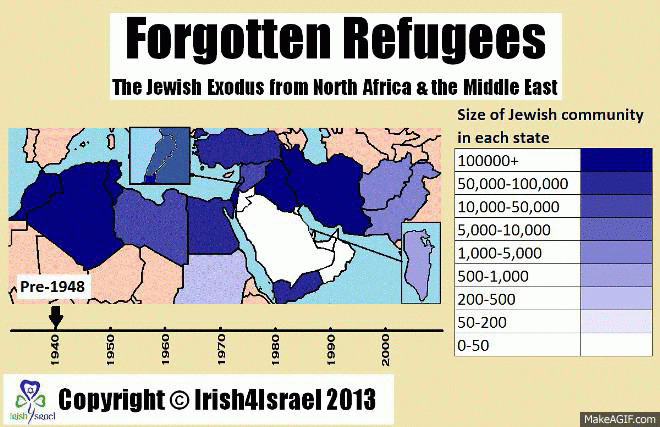 The Jews, in contrast, have merely returned to their only homeland. Israel is the only Jewish state in the world and less than 0.3% of the entire Middle East. The central narrative of Judaism is the story of national liberation in the face of an imperial power. The liberation of Jews from other empires has occurred in living memory. Let’s remember this. It is a place where a group of indigenous people reclaimed their land and revived their ancient language despite being surrounded by hostile neighbors. 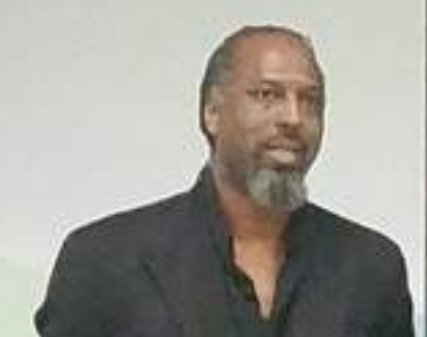 Reality and history play no role in this debate and it is time to call out these activists for the ideology they promote and to oppose their lies. Alexandria’s sea front and many of its belle époque mansions were built by Italian Jewish engineers. Round the corner from the synagogue stood the Maccabee billiard hall where Lawrence Durrell courted Eve Cohen, model for the femme fatale Justine in his Alexandria quartet. Then everything went into reverse. 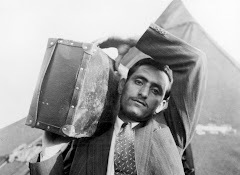 Waves of hatred after Israel was established were accompanied by expulsions under Nasser and by 1970 most Jews had fled. There can be little doubt that the community is on the verge of extinction. Or is it? Behind those high walls on Nebi Daniel Street, something remarkable is happening. After the uprising of 2011 the authorities deemed Alexandria too insecure to guarantee the safety of the annual Israeli visitation. Shortly after, in a symbolic blow, the synagogue’s roof fell in. This year, however, the sound of hammers has rung out. Renovation has begun, sponsored by the antiquities ministry, intent on not just repairing the roof but rebuilding the finest synagogue in the Middle East. It is a rare good news story for Egypt — at least I think it is. As with the history of Alexandria itself, the thinking behind the restoration has many layers. It was not possible to visit. The ministry referred me to the state information service, which referred me to the state security bureau. Letters were stamped. But even so the army construction company carrying out the repairs declined. The deputy antiquities minister, Hisham Samir, was happy to meet. He is a brigadier-general, however, who was less happy at suggestions that the anti-Islamist President Sisi might be sending a signal. “This is not political,” he insisted. “We have a legal responsibility to restore antiquities.” Is Egypt showing it disavows antisemitism, I asked. “There is nothing like this at all,” he said, smiling but ambiguous. I was given a tour of other Jewish sites by Zahraa Adel Awad, a guide and trove of information. She said that the opening to Jews was real, partly motivated by an investment climate quietly attracting Egyptian-born businessmen living abroad. Another source said that the restoration was being funded not by the government but by three overseas Egyptian-born Jews. Again, it was hard to establish the truth. The community’s few representatives were “unavailable”. One, eventually, admitted they had been asked not to talk to journalists until restoration was complete. One man who did was Yves Fedida, 73, whose parents were married in the synagogue and who played there as a child. Now living in London (Paris -ed), he maintains a benevolent watch on Egypt’s Jewish heritage. Perhaps the biggest miracle is that 2,350 years after Jews helped Alexander the Great to build his dream city, they are still there. 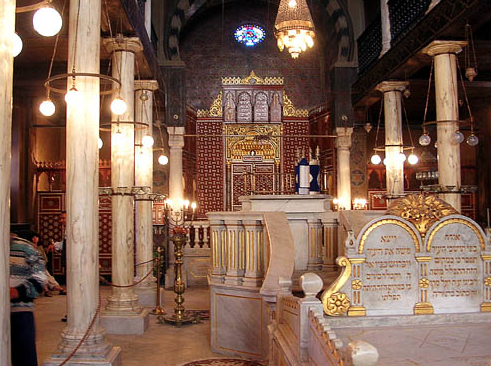 Maybe, with the restored synagogue, some will return. Even if not, they will have a fitting memorial. One hundred and eighty years have passed since the forced conversion of the Jews of Mashad in Persia to Islam, known as the Allahdadi event. To commemorate this 1839 trauma, the Mashadi community in Greatneck, USA has produced the above 15-minute video. Jews have lived in Persia since the destruction of the first Jerusalem temple in 586 BCE, but history has not always treated them kindly. The video tells how synagogues were burnt down and thirty-two Jews died in the Allahdadi pogrom (Persian for 'God-given') , one of a series of assaults; the entire community of 400 families decided to save themselves by reciting the shahada marking their conversion to Islam. Known as New Muslims, the community used subterfuge to maintain their Judaism secretly. The children were taught the precepts of their religion by the elders behind closed doors. 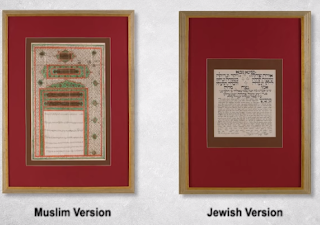 The Mashadi Jews developed a script called jadidi which only Jews could understand. Jews took on a Muslim name in addition to their Jewish name. The prefix Hajj denoted a person who had been on pilgrimage to Mecca or Karbala, the great Shi'ite shrine in Iraq. 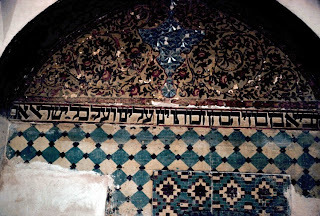 So successful were the Jews of Mashad at preserving their Jewish traditions that a thriving Mashadi community exists today. It is simply called “the villa”. Its white walls have no markings and an official permit is pending. 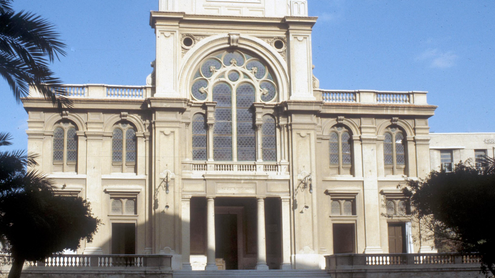 For its founders, though, the low-key opening of the Arab world’s first new synagogue in generations signals the dawn of a Jewish revival. Standing near the beach-front in Dubai, the synagogue offers Hebrew classes and kosher catering and has just acquired a rabbi. 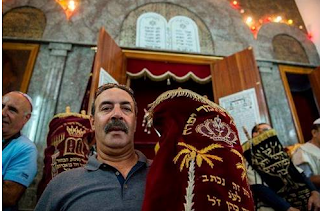 “The promise of our community is the rekindling of a Judeo-Islamic tradition,” says Ross Kriel, president of the new Jewish Council of the Emirates. After decades of hate speech, cynics deride this volte face as a publicity stunt by Arab dictators seeking Western approval. But the Arab spring in 2011 swept away a host of taboos. People challenged long-standing state ideologies as never before. From Iraq to Libya, a swathe of politicians, film-makers and academics, from secular types to the Muslim Brotherhood, have been re-examining the past, including the post-1948 eviction of Jews. Television, books and student campuses reflect this cultural shift. 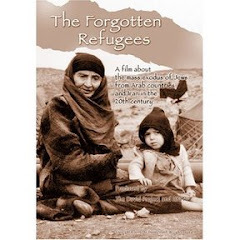 Arab documentaries search for Jewish diasporas that once lived in Arab lands. 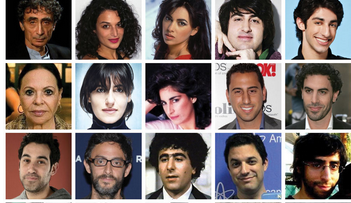 A new generation of Arab novelists elevates Jews from bit-players to centre-stage. “I wrote it to show that Jews are part of our culture,” says Amin Zaoui, the Algerian author of “The Last Jew of Tamentit”. 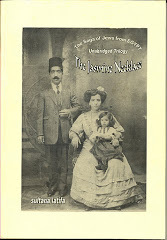 The Arabic translation of Lucette Lagnado’s “The Man in the White Sharkskin Suit”, the memoir of an Egyptian Jew, has had multiple reprints. Hebrew departments in Arab universities, once the preserve of would-be spooks, have mushroomed. Today 13 Egyptian universities teach Hebrew, up from four in 2004. Some 3,000 Egyptian students will finish their Hebrew studies this year, double the number five years ago. Even Syria’s state news agency has a Hebrew website. 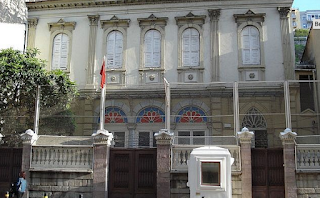 For all this reappraisal, the Arab world today is a far cry from the early 1950s, when Egypt’s first president, Muhammad Naguib, went to synagogue on Yom Kippur and Muslims prayed next to Christians and Jews at the graveside of Moses Maimonides, a medieval rabbi, in Cairo (Maimonides is actually buried in Tiberias. The author may be referring to the Ben Ezra synagogue - ed). From Tlemcen in western Algeria to Qamishli in Syria’s north-eastern corner, ornate ancient synagogues rot away. 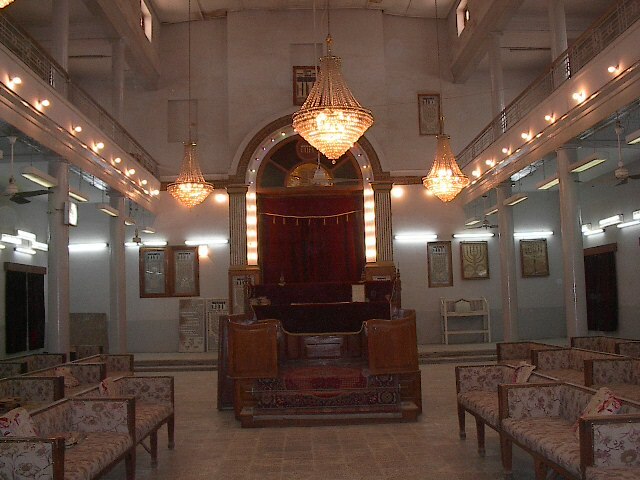 “They’ll take everything when we die,” says one of the last Jews in Damascus. Under the guise of preserving Jewish heritage, some outfits backed by Arab governments plan to seize disused property. The old invective dies hard. “They don’t need a second homeland,” said a Salafist, after an Algerian minister suggested reopening the synagogues. A common ideology brings together the strangest of bedfellows. Just as early as 2017, we learned of the Neo-Nazis of Germany forming an alliance with Syria’s Assad Regime, and Hezbollah in Lebanon; hatred of the West and Israel being their common guiding principle. One reason why the rebirth of the Jewish homeland is so important is because this evil ideology, though ancient, is very much alive today. 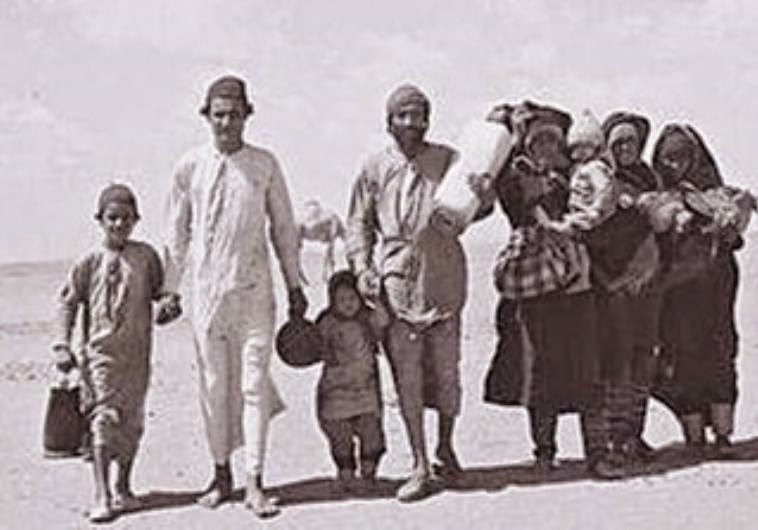 850,000 Mizrahi Jews were expelled from countries like Iraq, Egypt and Syria upon the rebirth of the nation of Israel, and 650,000 of them would still be refugees today had it not been for the Jewish State—the very state that Hitler and (the Palestinian Mufti Haj Amin) al-Husseini were very much against, a state that instantly became the largest refugee camp in the Middle East because of the expulsion of Mizrahi Jews from Arab lands. Over half of Israel’s population is Jews of color whose families came as refugees from Middle Eastern and North African countries. And much like their European brethren, they are returning to the land after centuries of being exiled. These historical truths are paramount in the Israel/Palestine discussion. Far too often, the discussion is based on the accepted narrative that Europeans came in and colonized the region, making Israel is no more than a nation of ‘fake white Jews’ who forced out and are now oppressing the Arabs. For 3,000 years, there has been a Jewish presence in the Middle East. Without a homeland, the Jews suffered through most of those years. In the discussion, Israel is not at all above reproach, but we need to be real. The lie that somehow, Jews just showed up in the Middle East in 1948 needs to die. There needs to be a better understanding of the reality that Israel is for Jews of all colors, and Jews of all colors live in Israel today. The conversation changes the most drastically, in my view, when there is an understanding that the Mizrahi people exist. I want to credit my good friends and colleagues at JIMENA: Jews Indigenous to the Middle East and North Africa for leading the charge on not only awareness, but also preserving the Mizrahi and Sephardic culture. Click here to see MEMRI video. 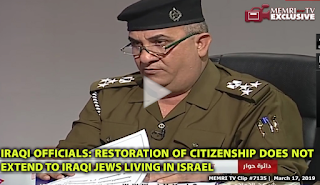 MEMRI: General Fadhi Alwan Kazem, the head of the Citizenship Department in Iraq's Ministry of Interior, said in a March 17, 2019 debate about citizenship for persecuted minorities that aired on Al-Iraqiya TV (Iraq) that Jews are a special case with "political aspects" that should not have a right to return to Iraq or to Iraqi citizenship if they had been kicked out from Iraq in the past. Iraqi MP Hussein Al-Iqabi said that since Israel is an enemy of Iraq, Iraq cannot allow Jews with Israeli citizenship to hold Iraqi citizenship, but that Jews who have no Israeli citizenship or loyalty to Israel do not constitute any problem. Host: If tomorrow a Jew comes and says: "You drove me out [of Iraq] but I am an original Iraqi. Add a clause to [to the Nationality Law] and let me return." Will you do it? Hussein Al-Iqabi: This is not a legal issue but a political one, under the responsibility of the government. In my opinion, when the Jew who was an Iraqi citizen became an Israeli citizen… Israel is an enemy of Iraq. The legitimate rights of the Muslims and Christians over Palestine have been usurped by this country, which is based on oppression and injustice. We cannot allow for an Iraqi citizen to hold the nationality of a country that is an enemy of Iraq and in a state of war with it. This country usurps the rights of our Palestinian brothers. We cannot tell these people to come here today. But if they do not have an Israeli nationality, it is a different story. If they do not have an Israeli nationality or loyalty to Israel, they are just like all the [Iraqi] Christians, Yazidis, Sabians, and so on. Whatever happened to Iraq's compensation vow?